PT Permata Graha Nusantara (PGN Mas) is a child company of PT Perusahaan Gas Negara Tbk. that running in facility asset management from its parent company. They want to create mobile application that can assist them in receiving input complaints related to facility maintenance work carried out at the location from their customer. 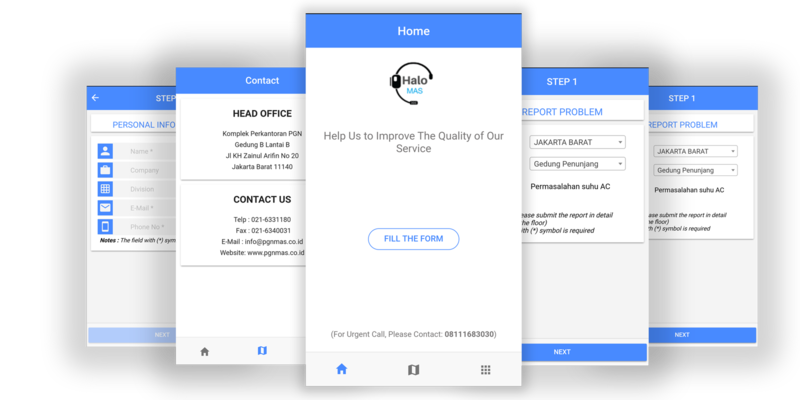 The app connects technicians and users who have issues related to maintenance of facilities and infrastructure in the company that includes complaint submission, criticism and suggestions on the service at the company, so that all complaints can be delivered quickly and easily, more structured maintenance schedule, and make the complaint report more organized. Solutech constructed a Mobile app using Hybrid methodology on developing mobile application for PGN Mas. In the application, the person responsible for their site location could register their user login based on their site location and be able to submit any feedback, complaints, critism and suggestion about the services they receive. The application running on Hybrid Ionic Platform for their Android and IOS Version.